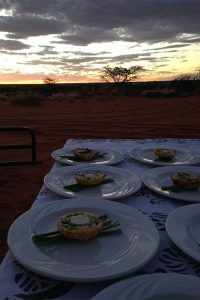 We have a lovely Lapa that can seat 24 guests. 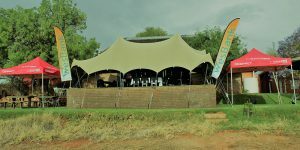 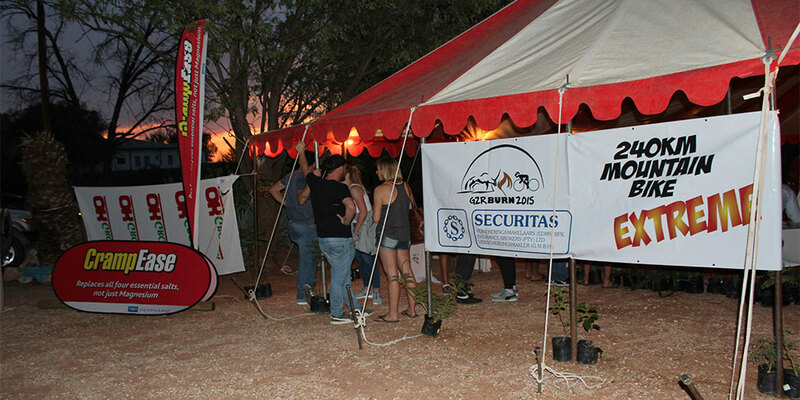 For Bigger events we set up a Bedouin tent that creates more space for more guests, we could seat a maximum of 80 guests. 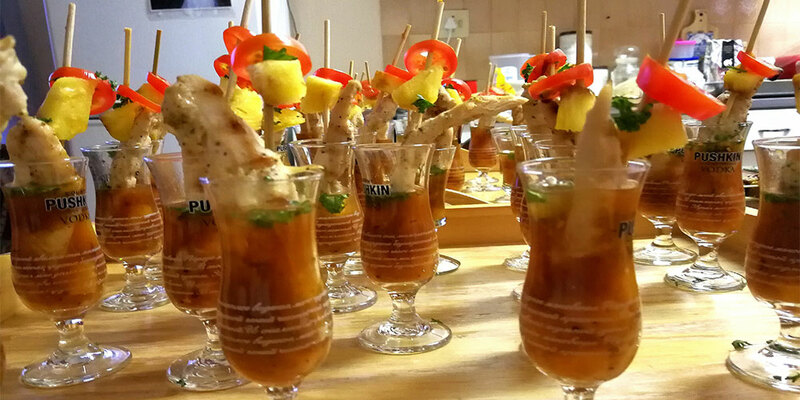 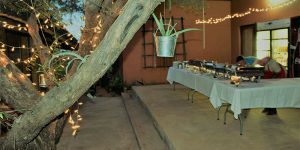 Our owner and Chef loves cooking and experimenting with food, so please feel free to contact us for Group dinners, or special occasions such as baby-showers, birthdays, anniversaries, even small weddings. 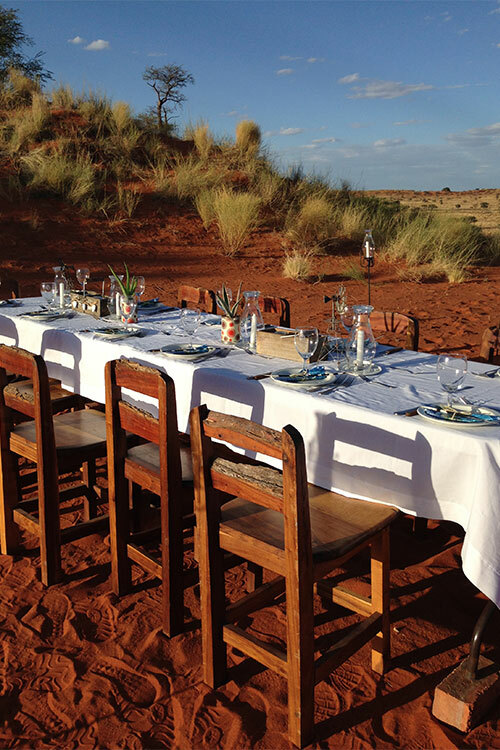 We do specialized dune dinners for groups of 6 guests and more. 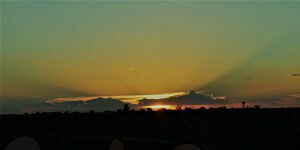 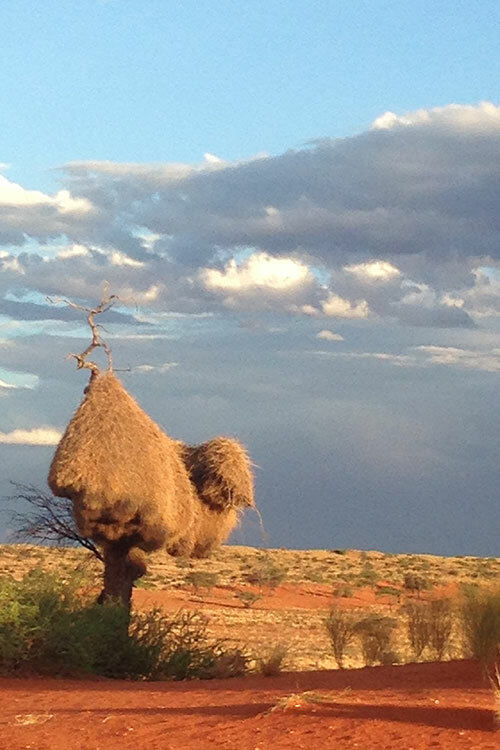 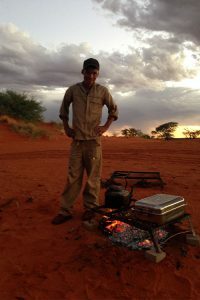 We have a love dune 5 minutes from the guest house where we set up glorious Kalahari dinner tables and serve you delicious fire prepared meals. The owner of the guest house – Phil Van Wyk – also owns a Tour Operating business, Unbounded Namibia Safaris and Tours, which has a Mobile Tented Camp and Catering unit. This unit specializes in the setup of 2.5m x 2.5m dome army tents, that sleep two, with beds, bedding, and a camp light. 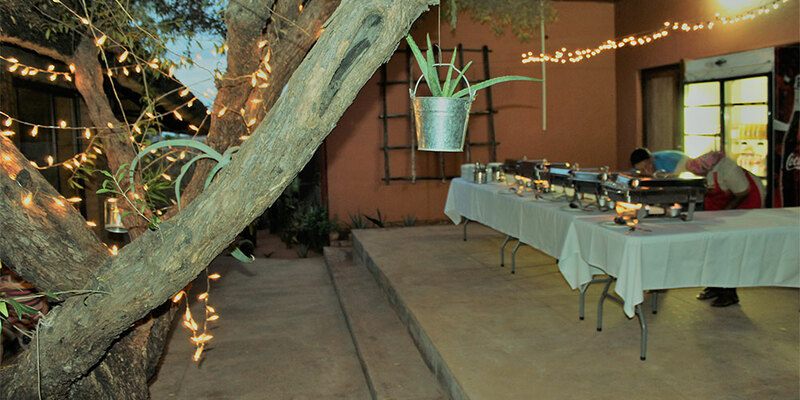 We can set up for 100 people. 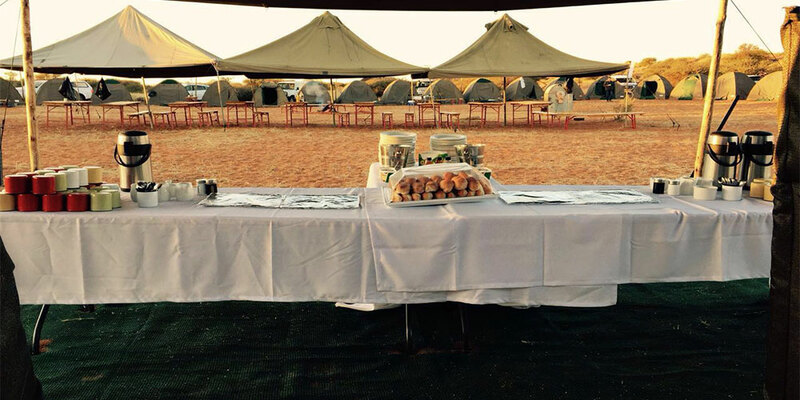 We also set up a dining area under a Bedouin tent, with tables and seats, as well as a Kitchen, which can cater for breakfasts, lunches and dinners. 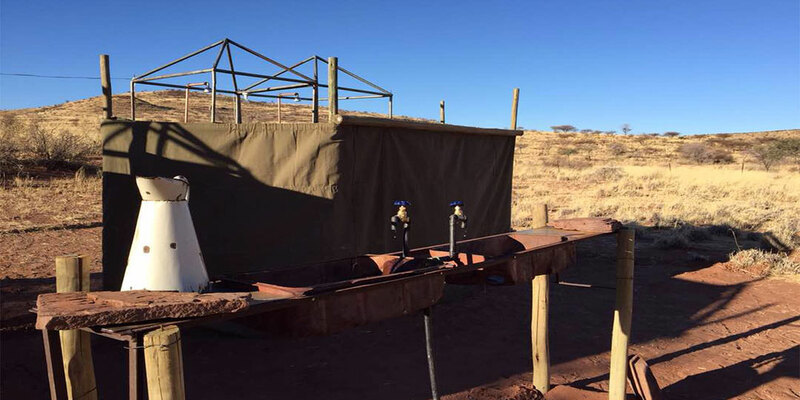 Outdoor ablutions are built and put together on site, we will need access to water for the showers. 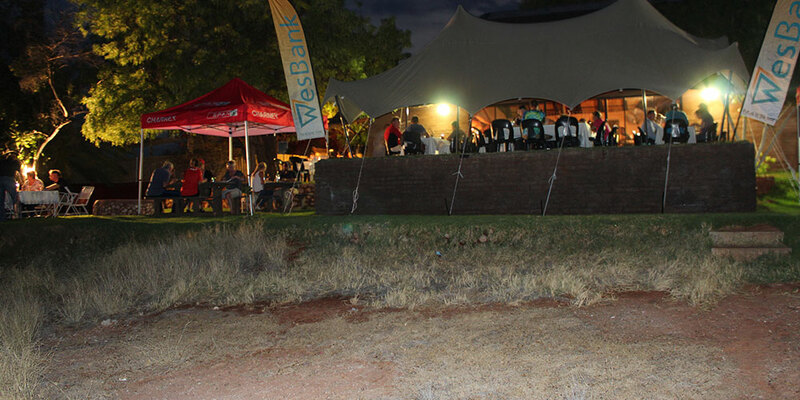 We supply power and light via generator. 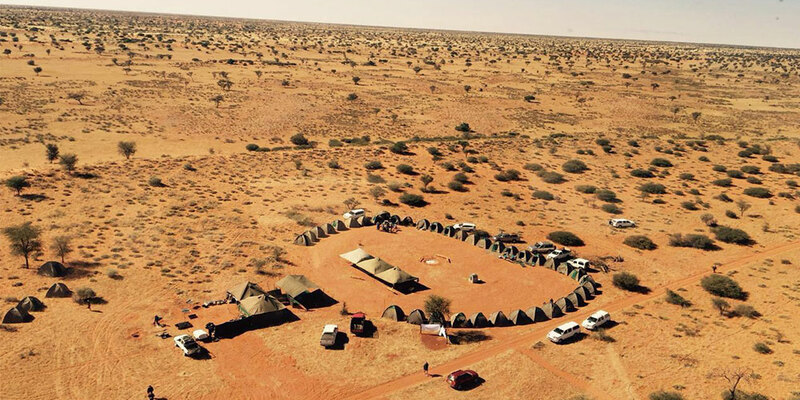 The minimum amount of people is 40 pax. 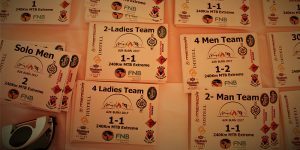 The Cycle race is a unique and one of it’s kind mountain bike challenge in the South of Namibia, hosted and organized by Kamelruhe Guest House and it’s owners. 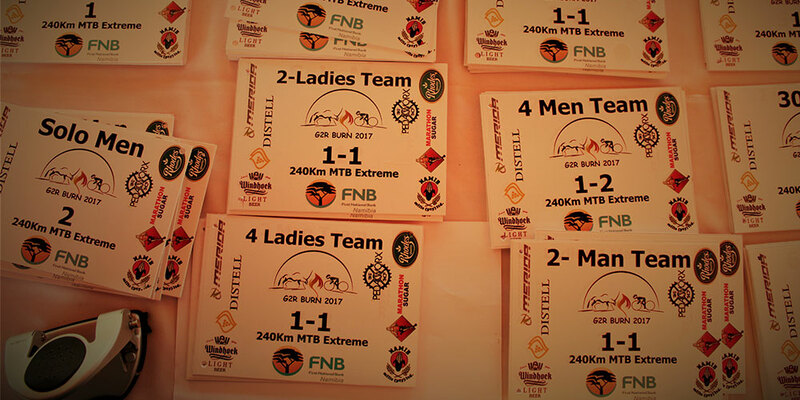 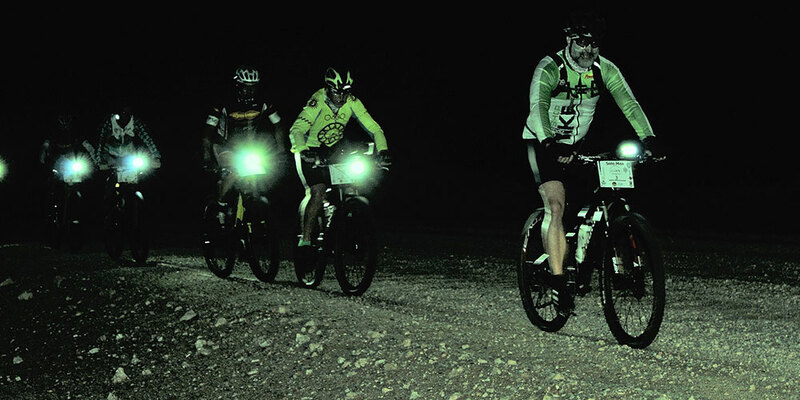 It’s a 240km endurance race that kicks off at 4am in the morning and cuts off at 18h00 in the evening. 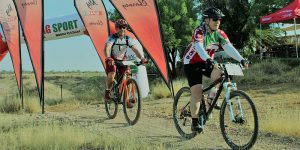 A significant part of the entry fees gets donated to the Annual Cancer Mobile Pap Smear clinic funded by the G2R Burn Mountain Bike Challenge. 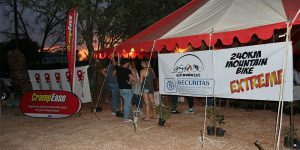 We hosted the first one in 2012 and the event is growing each year.